Environmental Excavations & Construction — Rice General, Inc.
Excavation – a broad term that encompasses various items on RICE’s menu of services. Hazardous material excavations using the Dig & Haul approach with live loading and trucking. Pinpointing limited access target excavations in populated facilities with ventilation masks, dust suppression and noise restrictions. Support the trench excavation requirements of SVE and AS monitoring systems. Trench and shore for industrial sewer tie-ins, storm drain connections and grease waste boxes. Excavate for damaged lines as they may occur. Set up a smooth, clean foundation for build outs or property sales. 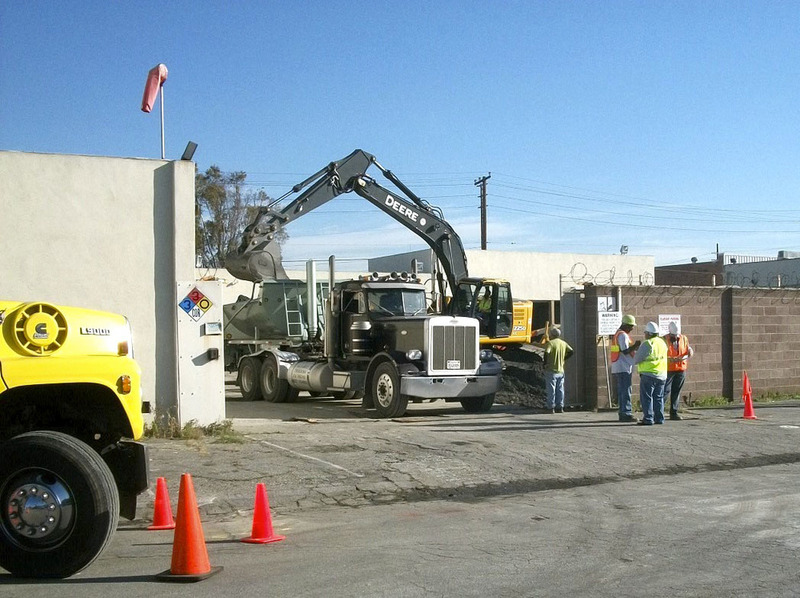 Environmental Excavation is a highly specialized and often dangerous work. It requires ongoing, rigorous training, specialized certification and years of experience to do the job right. Hiring the RICE team ensures adherence to unparalleled safety methods, environmentally conscious practices and decades of remediation experience.